The busy Shin Hye took time tonight to post pictures of fan gifts to her. And surprise! Ours are in the picture! 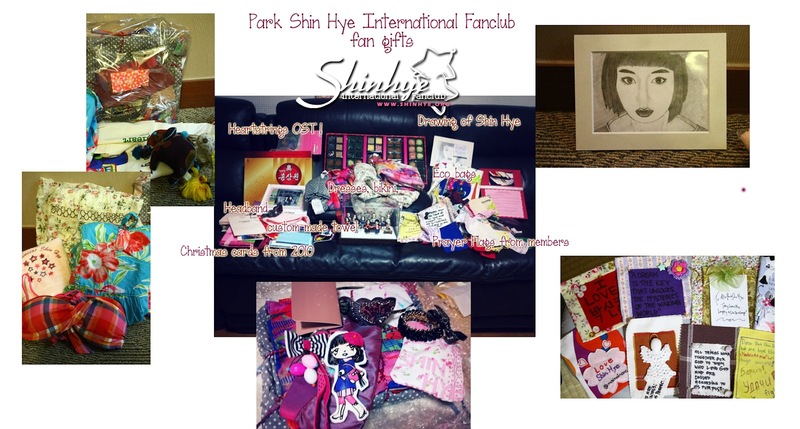 Most of these gifts were from our members right here on Park Shin Hye International Fanclub!! Thank you everyone for participating and donating!!! 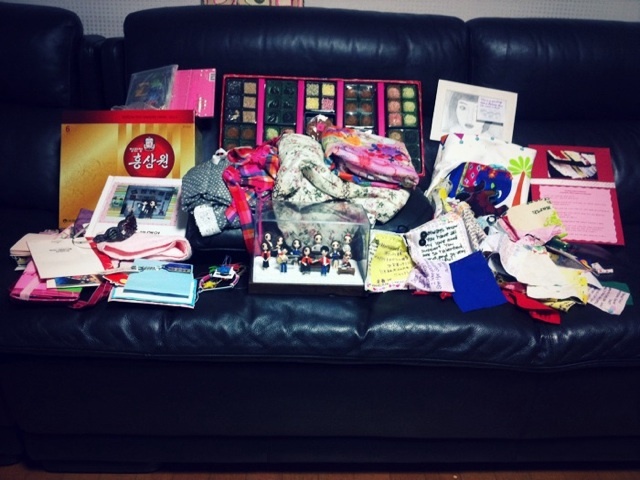 Here is a picture of our presents along side the photo Shin Hye tweeted. “제 2탄!!!!!! !한과,옷,(비키니수영복도있네요ㅋㅋ)클레이,깃발메세지,팔찌,CD,책,홍삼, 등등 ㅠㅡㅠ 너무너무 감사합니다…!!! 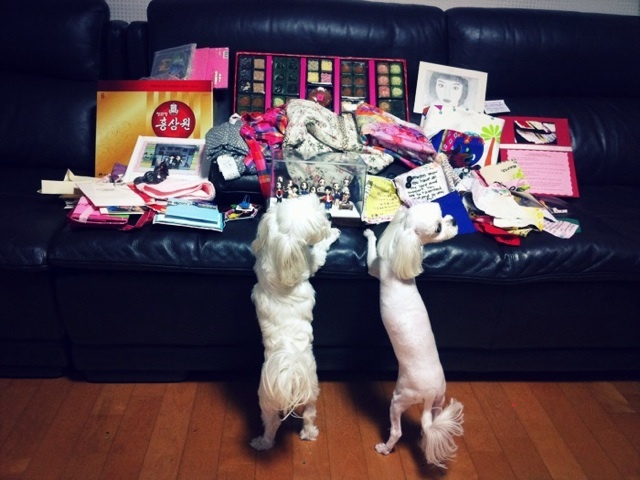 She also tweeted this cute photo of her two dogs, Bongji and Nori looking at the gifts. How cute! Bonus! Sightseeing Bongji and Nori keke"
Thank you to everyone who contributed. The rest of the gifts were also given to Shin Hye during our visit to Korea in July on set of Heartstrings. What happened to her puppies? they're clean-shaven. Awesome guys!! She really appreciates all the gifts! :) I guess this picture means..keep 'em coming!